Full nuts, half nuts, nyloc and dome nuts. Hexagon head, socket cap head, button head and countersunk head bolts. Flat washers, repair washers, spring and wavey washers, with a large range of sizes from M4 to M20, and a selection of imperial sizes available too. 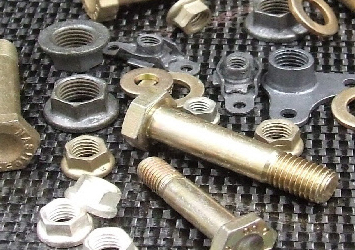 A2 and A4 Grade stainless steel fasteners are ideal for motor vehicle and motorcycle restoration, marine projects and engineering applications requiring prolonged protection from the elements. Call for further information on the full range of stainless steel fasteners and our exceptionally competitive rates! Unbrako high tensile socket cap head, socket button head and socket countersunk screws available in both metric and imperial sizes. Universally recognised as the industry standard for consistent quality and repeated reliability. Call us for further details on the huge number of different size combinations available and a competitive quotation on genuine Unbrako products. 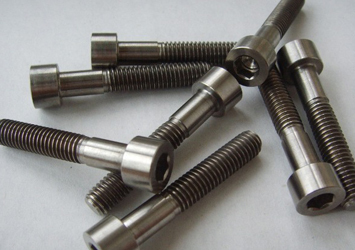 Aerospace fasteners, such as NAS bolts and K-Nuts, have been used in the racing industry for many years due to their superior tensile strength and high precision. 6200 and 6600 series NAS Bolts, AN Bolts, Imperial and Metric K-Nuts, High Temperature K-Nuts, AN960 Washers, Fixed and Floating Anchor Nuts. Contact BG Motorsport for further details. 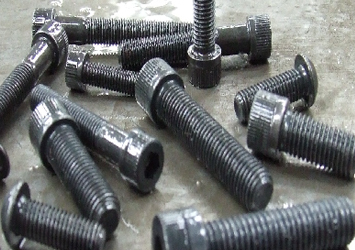 PRO-BOLT offer high quality aluminium and titanium fasteners and hardware. 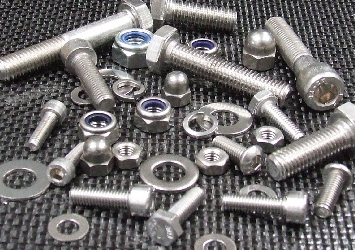 A huge variety of nuts, bolts and washers with optional coloured finishes. Model specific fastener kits available for 1,000’s of cars, motorcycles and mountain bikes.